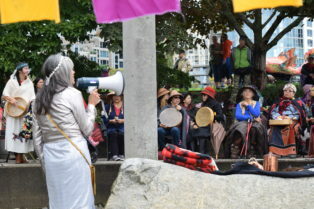 Above: Wild Salmon Caravan organizer Dawn Morrison opens a salmon ceremony in Vancouver. 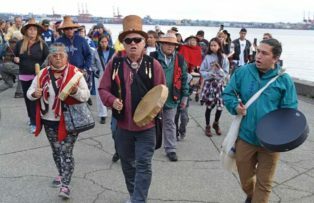 A week-long journey that follows wild salmon on their annual run to Adams River began with a day of ceremony and celebration in Coast Salish territory. 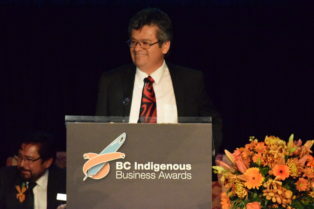 T’Sou-ke Chief Gordon Planes (Hya-quatcha) has been honoured with an award for his community vision and achievements in sustainability and renewable energy. 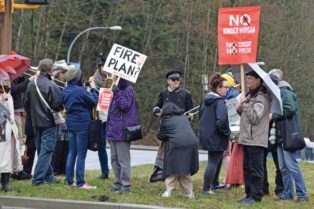 Coast Salish leaders are celebrating a Federal Court of Appeal ruling that quashed Canada’s approval of the Trans Mountain pipeline project. 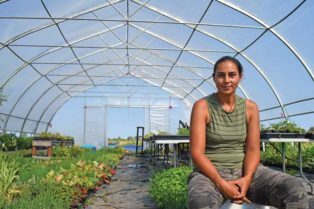 A Tsawwassen First Nation member hopes to increase her community’s food security with a plant nursery that started up this spring. 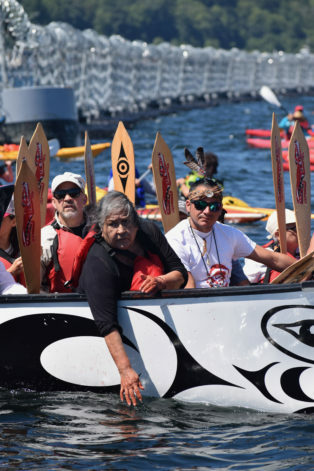 Above: Tsleil-Waututh Elder Amy George, left, and Protect the Inlet leader Will George (Swaysən) sat in the lead canoe during a water ceremony on July 14. 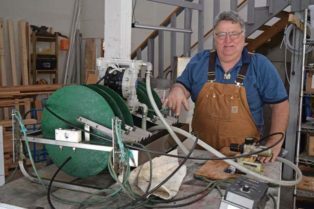 For 18 years, Will George (Swaysən) mostly worked in solitude, washing the windows of highrises for a living. 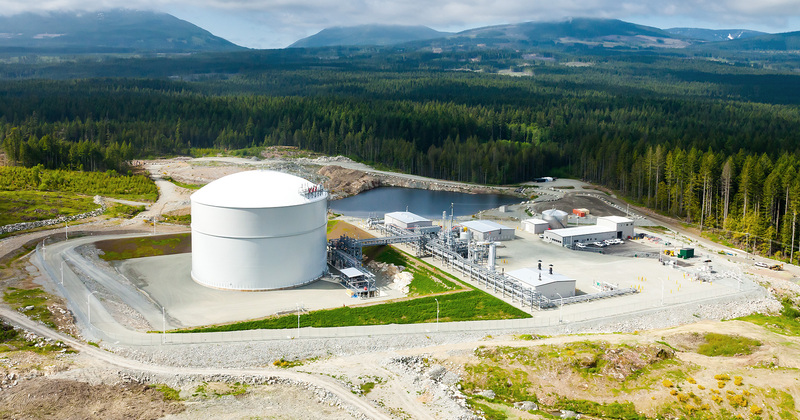 Bob Elliott’s grandmother always told him that when the tide is out, the dinner table is set. 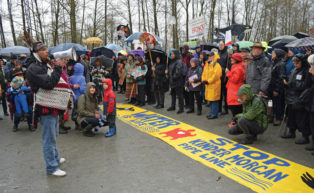 Before Tsleil-Waututh Elder Leonard George passed away in December, he had a vision for his people to build a Coast Salish watch house in their territory near Kinder Morgan’s pipeline route. 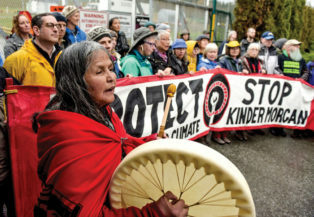 Members of Tsleil-Waututh Nation and allied environmental organizations have set a date for mass mobilization against Texas oil giant Kinder Morgan, saying it’s just the beginning of its campaign against the company’s Trans Mountain pipeline expansion.